Over 100 specialists including bomb technicians, police investigators, banking security experts and representatives from security companies, participated in a conference, focused on the use of explosives and explosives’ mixtures to attack ATM machines. This 1st EU Conference on ATM Physical Attacks took place at Europol’s headquarters in The Hague (NL). Participants gained an overall view of the modus operandi used by criminals in the EU and worldwide, and they shared their expertise on recent attacks and were made aware of ongoing initiatives to defeat this phenomenon. The focus was also on counter measures available in the market, in order to reduce the likelihood and impact of such attacks. 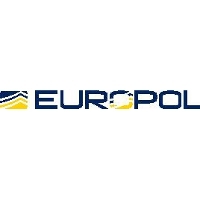 The conference (7-8th of April) was organised by the Europol business areas of Organised Crime and Counter-Terrorism, joining the expertise of organised crime investigators and counter-terrorist bomb technicians. Europol aims to continue enhancing the cooperation in this field, sharing best practices among the EU Member States experts together with partners from the private sector and non-EU countries.